Teller is such a lovable, sweet dog. 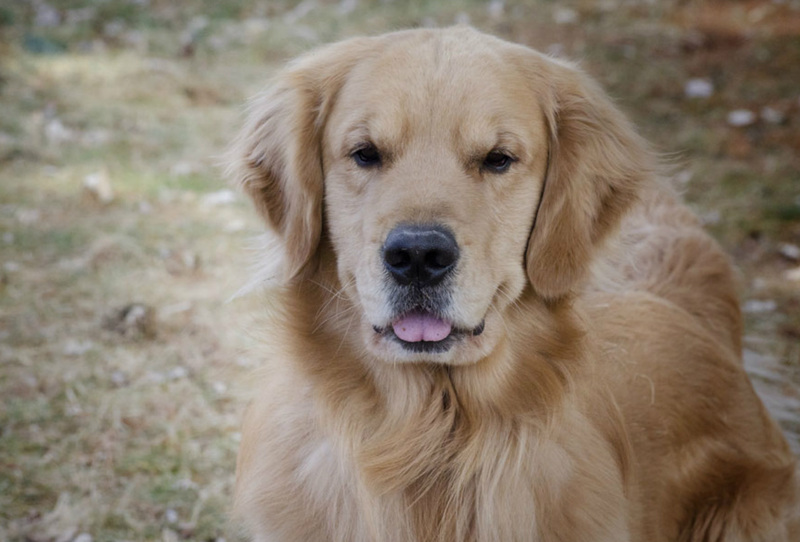 He lives with Melissa's parents where he shares their home with Bea, another golden. Teller loves to sit on the couch and be with "his people" and is content to be loved on 24/7. He earned his Canine Good Citizen (CGC) title at exactly 6 months of age. Teller is certainly a gentleman and has been since the time he came home. Teller has gone over standard size so he won't be shown in conformation but you may see him hit the rally ring in the future.